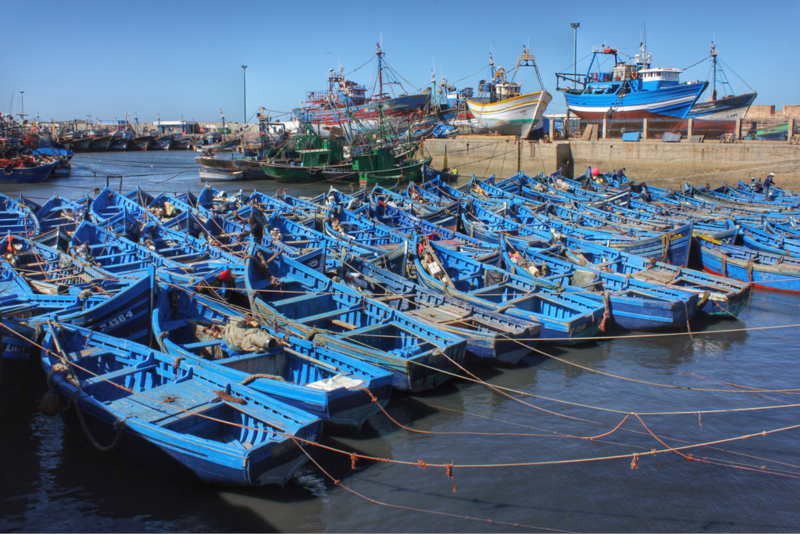 We are currently in Essaouira, which was declared a World Heritage Site by UNESCO in 2001. From the sound of the name and the howling of the wind, I was sure it meant "the Windy City"--apparently not. 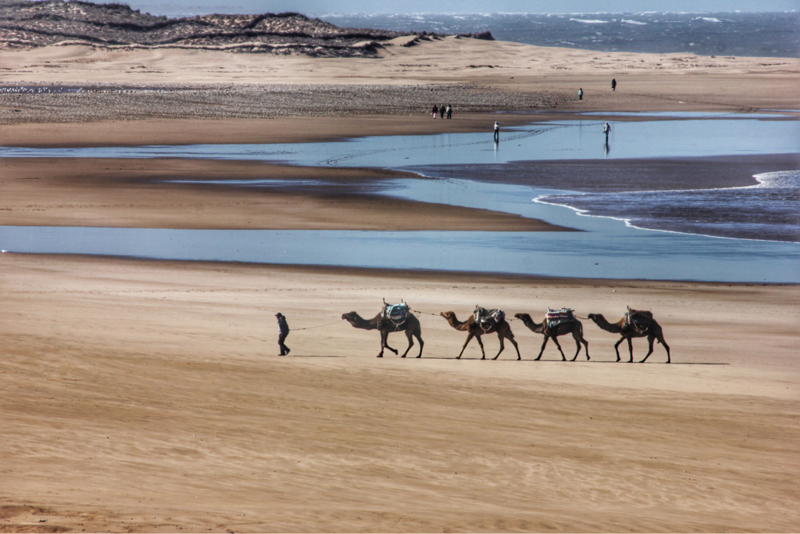 The first sight we saw when we opened our window this morning was a camel train being led down the beach. You sure don't see that in Grand Bend! We spent most of the day at the port and the medina. The small fishing boats are almost all a colourful blue which really makes the harbour sparkle. Everywhere you turn there are seagulls looking for snacks. 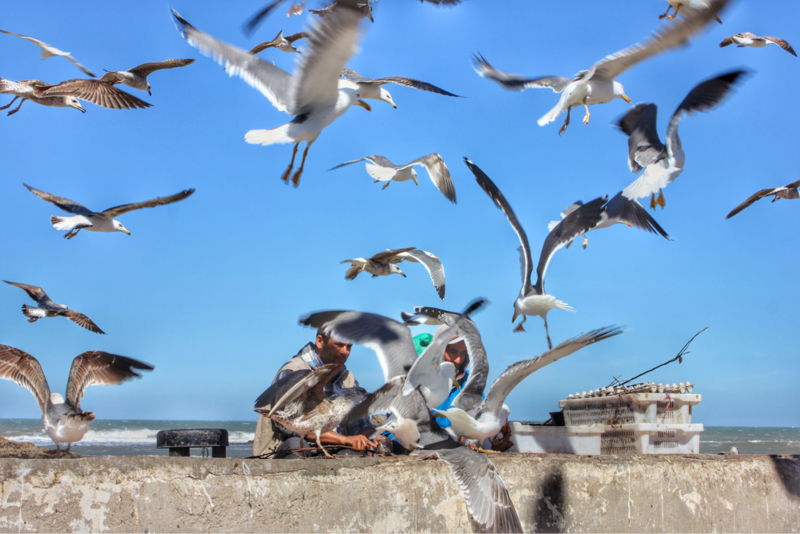 They especially hover over the fish cleaners--fish guts....yum! 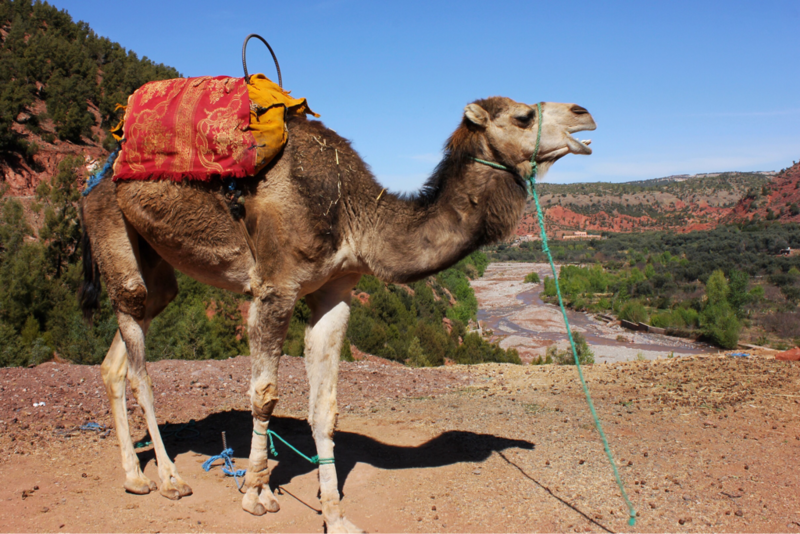 Everywhere we go in Morocco we get a deeper impression of its diversity. 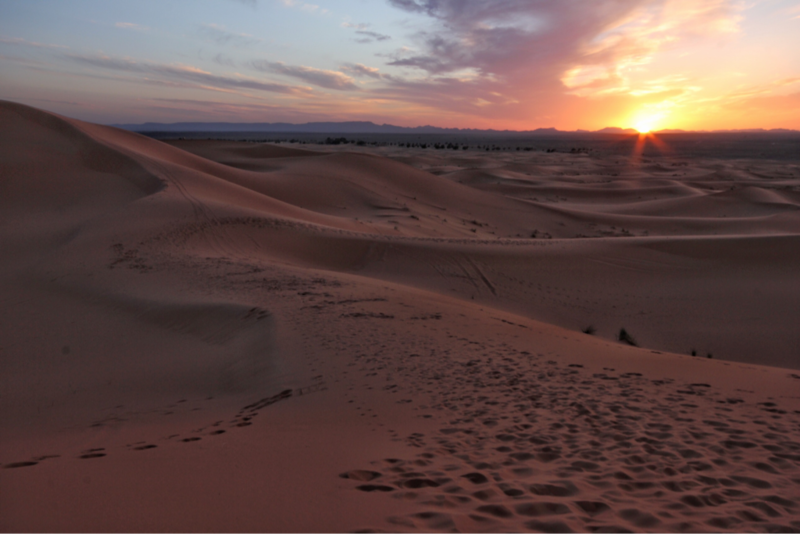 Only a few more days left to experience as much as we can, but it is safe to say we have fallen in love with Morocco. Many Europeans winter here. I can certainly see why. 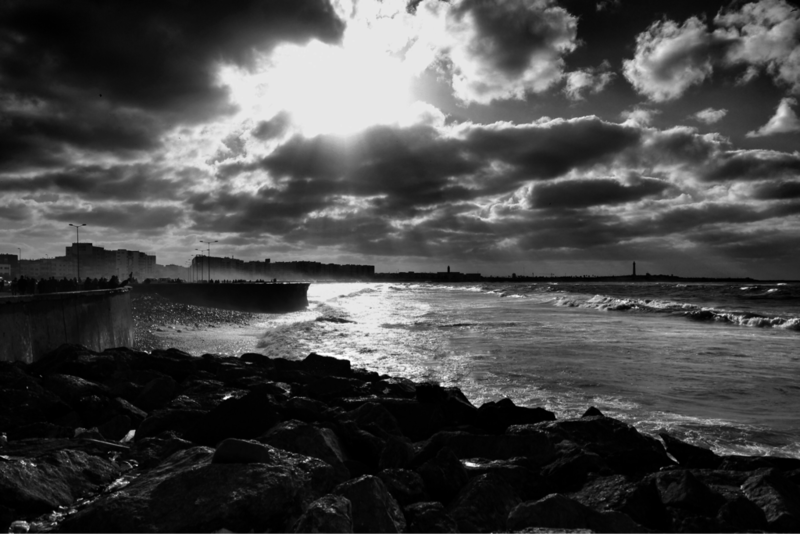 The city of Agadir was destroyed by an earthquake in1960. As we followed a group of boisterous university students to the local pizza joint, you would never have thought that this magnificently rebuilt city had suffered such tragedy. We got take-out and enjoyed it down by the seawall as the sun set. The pizza was delicious, but my favourite part of the day was still the goats. 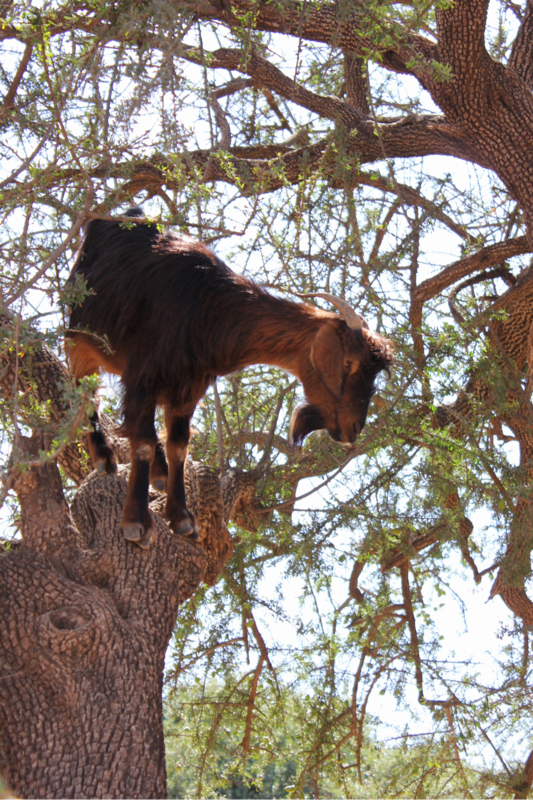 Morocco has tree climbing goats! I'd heard this before, but it was quite the sight to see. 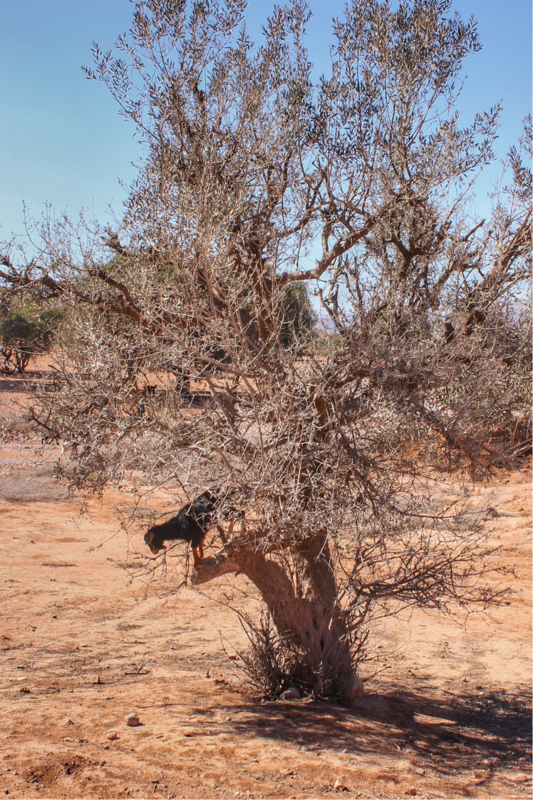 The herders actually direct them into the fields of argan trees. These agile little creatures scamper up the trees to chomp on the leaves. So cool! Hope you enjoy Dad's video. Watch for the Berber sledding. 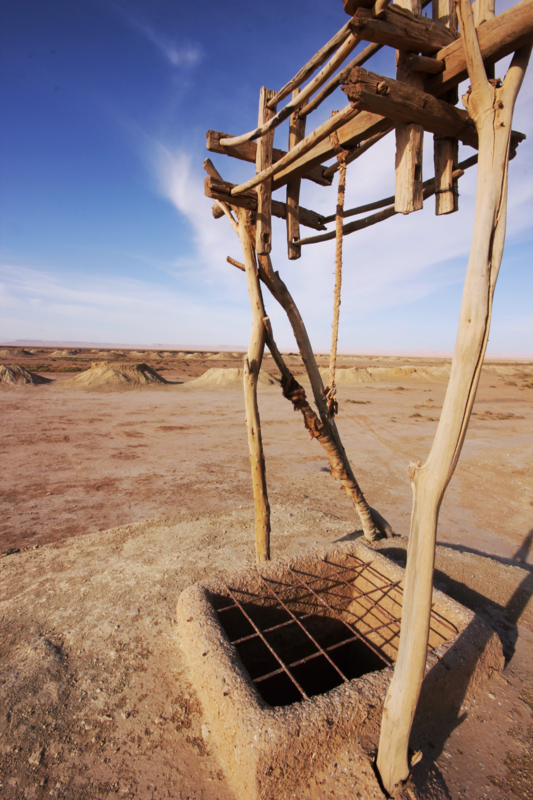 As we enter the Sahara we were educated about the common law of the Berber's that establishes a council with strict guidelines for how much water and irrigation time each family gets through the dry months. Water here has always been considered precious. In fact we visited a water channel system that was 400 years old. I know you have been having a lot of snow back home. Stay safe. You know how we put up snow fences so the snow doesn't blow across the road? Well, here they do the same thing but for sand storms. Learning a lot. You Are Always in My Prayers. Love Mom. Yes He Did--No I Didn't! 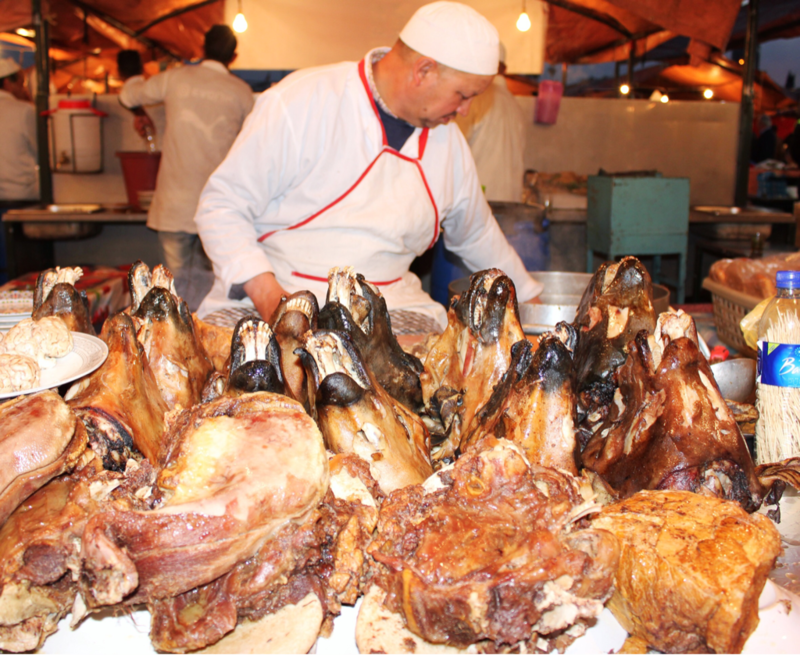 I am appalled to report that your Dad ate a quarter of a sheep head at stall 76 last night. The locals love it! Apparently it is a little like greasy lamb slopped up with bread. Afterward we treated ourselves to a ride home in a horse and carriage. Think adventure rather than romance as the bargaining, the complexity of the language, and our insistence on receiving change, made this quite the experience. Today we travelled through the High Atlas Mountains. It was stunning. 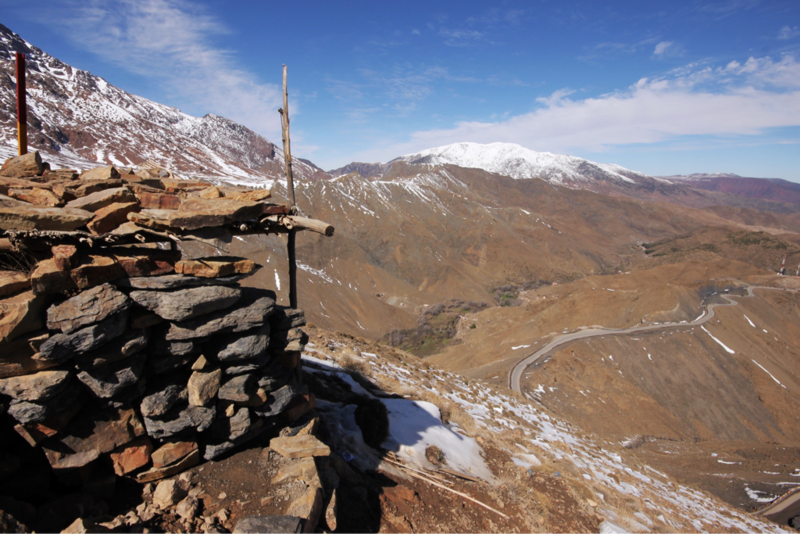 The snow-capped mountains, the Berber Villages, the Casbahs, and the colourful crafts sold along the side of the road. In fact scenes from Lawrence of Arabia, the Gladiator and Game of Thrones were all filmed in this area. An additional treat were the yummy local dates and nuts our guide fed us as we explored. More desserts and Casbahs as we head toward the Sahara tomorrow. 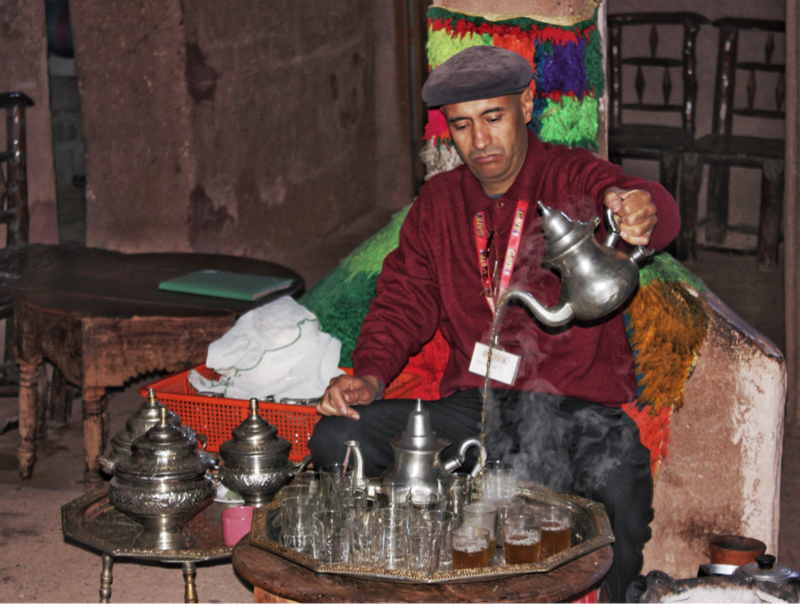 When the residents of Marrakesh crave a day away from the city they typically head out to picnic in the Ourika Valley. 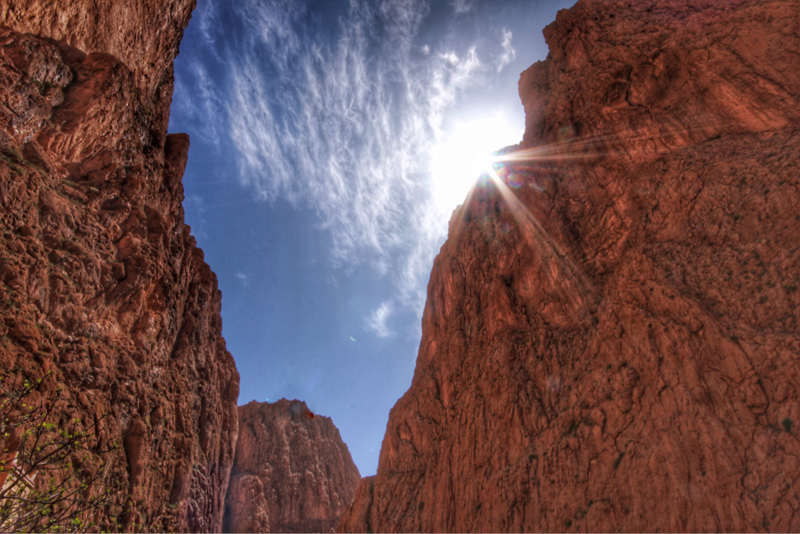 As with many of our experiences so far, this lush valley defies our preconceptions of Morocco. The valley is green and very fertile. The snow caps of the Atlas Mountains can be seen in the distance and we even passed roads that lead to the ski slopes. We certainly had NO thoughts of Morocco as a ski destination!